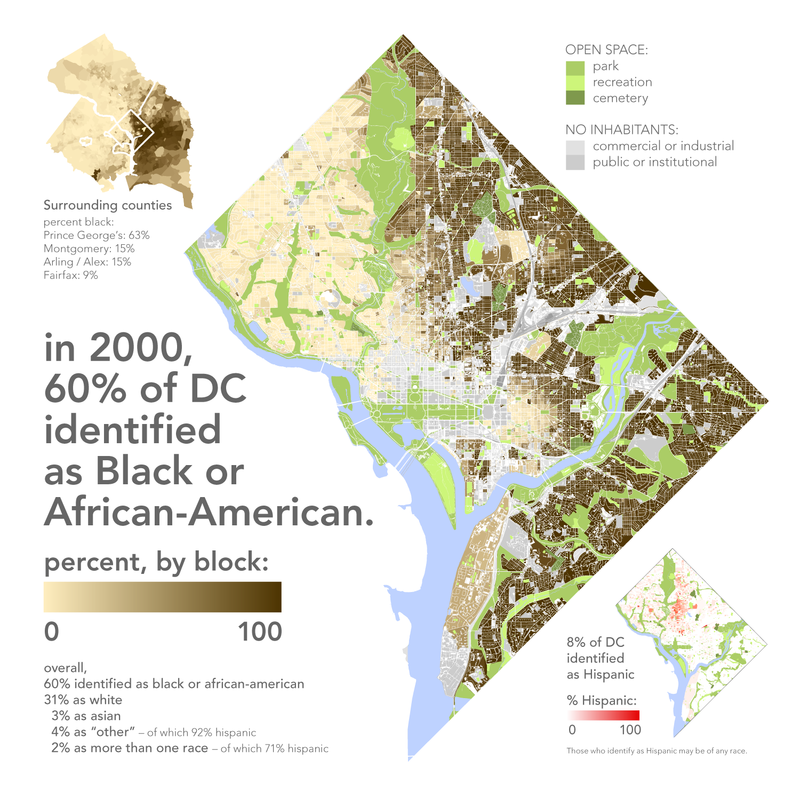 While all U.S. cities are divided by race, the racial split in Washington DC is particularly remarkable. 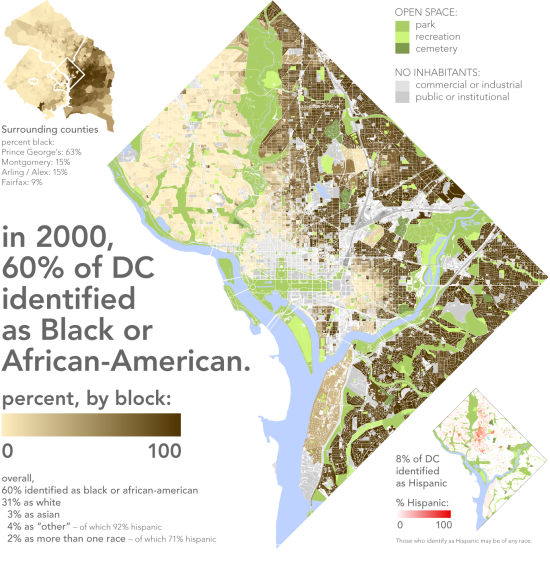 In DC as elsewhere, race is often used as a proxy for other social divisions as well — income, crime, and education in particular. This series of maps teases apart these variables for DC. While at a glance race, income, education, and crime all seem to overlap, it’s certainly not true that all black neighborhoods are poor and plagued by crime and all white areas are rich and crime-free — the key variable is education, not race. What's interesting here is that the primary mode of geographic segregation nevertheless remains racial: well-off educated blacks live with other well-off educated blacks, not with their white peers. (Whether this happens by choice or not is far beyond the scope of these simple census maps). Likewise, upper-middle-class black neighborhoods are contiguous with other black communities, not with white areas of a similar socio-economic status. Sophisticated analysis of crime patterns is also beyond the limits of these quick maps, but it’s interesting to see that crimes of property and crimes of violence have slightly different distributions.